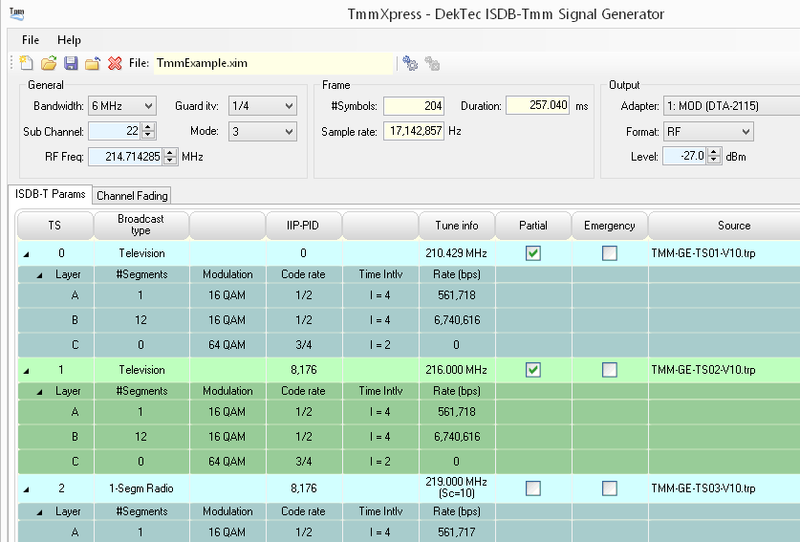 TmmXpress is the ISDB-Tmm test-signal generator. 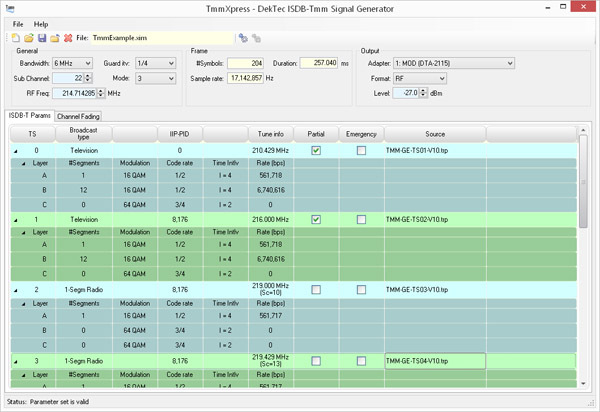 The intuitive and easy to use graphical user interface lets you create any combination of 13-, 3- and 1-segments up to a total of 33 segments and generate either an ISDB-Tmm, -TSB or -T signal. 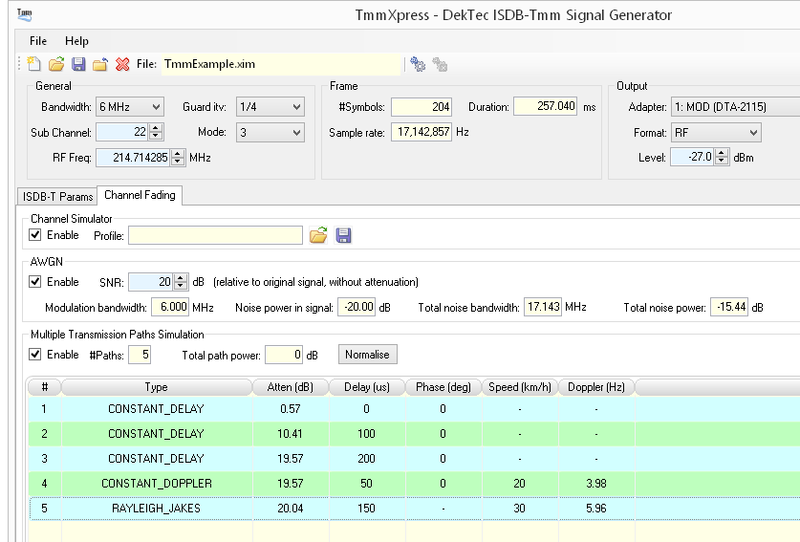 StreamXpress allows you to make one 13-, 3- or 1-segments ISB-T signal, while TmmXpress allows you to combine segments and create an ISDB-Tmm, -TSB or -T signal of up to 33 segments.